While the world is full of apps, shiny game consoles & massive online games, more traditional sorts of games are more popular than ever. 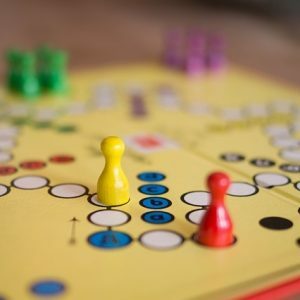 Second Generation Game Geek, Jennifer Taylor, Programming Services Librarian from the Hagerstown Public Library, will talk about the world of tabletop gaming. We will discuss the multiple varieties of board games, card games & role-playing games out there, and how to use these as the means to bring people together. We will cover how libraries can incorporate circulating games into their collection and game-related programming into their services. And we will look at some of the available resources that libraries can use to learn more about gaming.